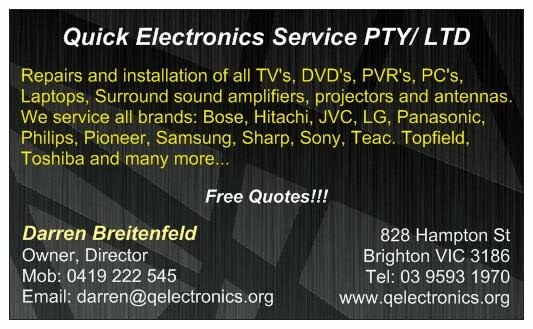 Specialist in repairs and installations of all TV's, including Plasma, LCD, LED, Projectors, Videos, Digital Set Top Boxs, Surround Sound Systems, Amplifiers, Home Theaters, DVD players/ Recorders/ HDD Recorders, Computers/ PC's/ Laptops (Hardware/ Software, Virus's, Spyware, Trojans/ reformatting plus any software needed), Digital Antenna, Car Audio and Alarm systems. 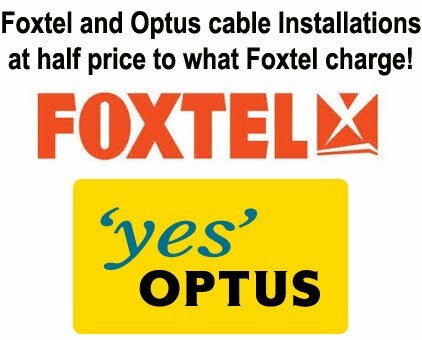 Free Quotes if the item is brought to us at: 828 Hampton Street Brighton Vic or $60 call out fee to the suburbs mentioned below which covers 30 min of installation, quoting or setting up systems!. * We offer same day set up and tuning of all electronic equipment. 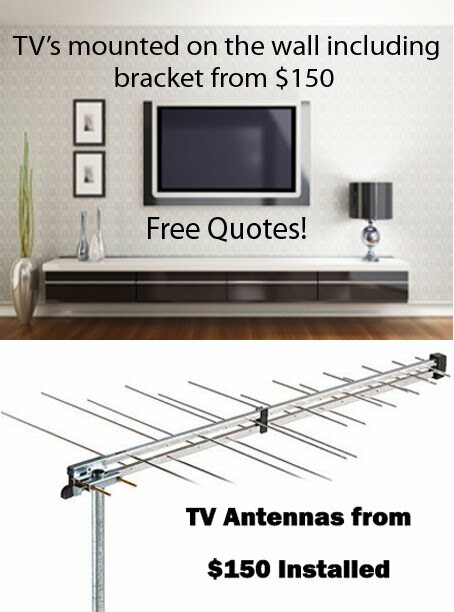 * We install, mount and run all cables needed for Plasma/ LCD TV's and Surround Sound Systems. All of our quotes are per job and not by the hour at the most reasonable rates in town!!!. Service Areas: Balaclava, Bentleigh, Black Rock, Brighton, Caulfield, Elsternwick, Elwood, St Kilda, Hampton, Melbourne, Moorabbin, Oakleigh, Ormond and Sandringham. and do Video Editing using Adobe Premiere Pro. Over 20 years experience in the electronics field.